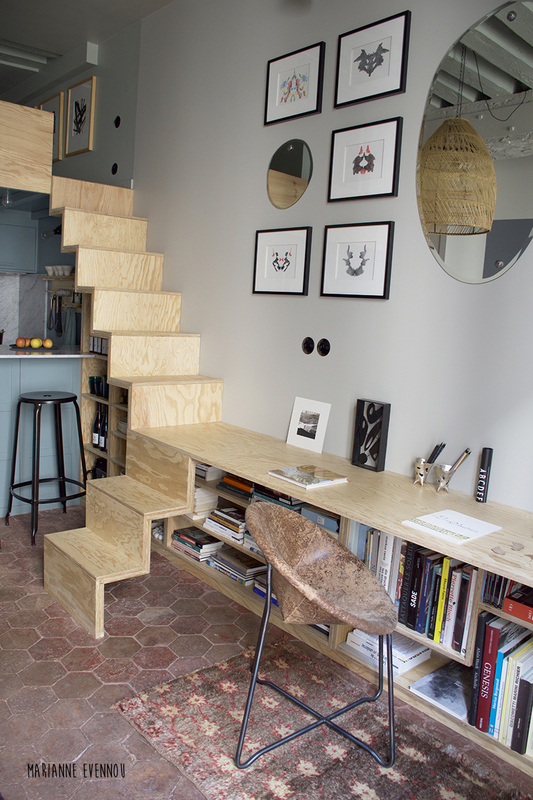 French designer Marianne Evennou is an expert on dressing up a microapartment! Her signature style is a medley of romantic interiors and clean lines. Striking textures are balanced out by craft produced accents and soft lighting. Her impressive portfolio is far ranging, demonstrating her versatility as an artist. The renowned designer loves bringing her signature aesthetics to micro apartments. 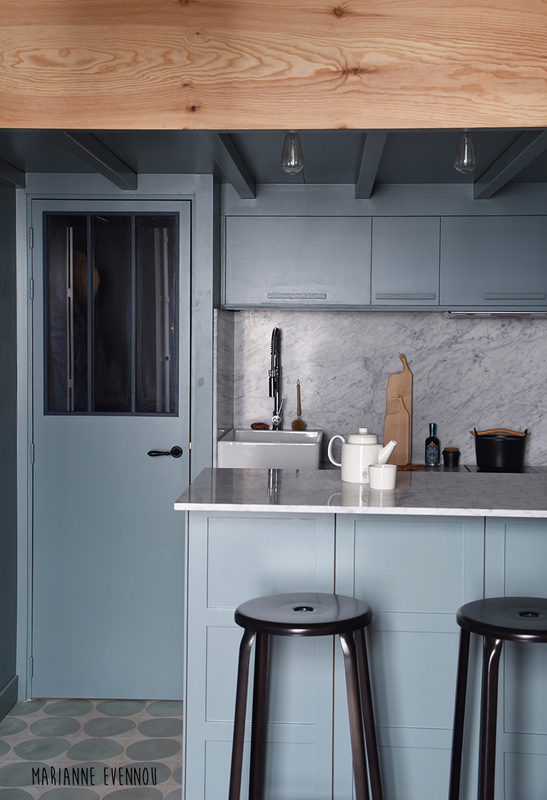 She prefers working with delicate, raw materials to elevate the style in a contained space. Evennou’s design includes hand-made accents and heirloom pieces to amp up the drama. She combines stunning aesthetics with space saving interiors and raw architectural elements. Evennou has a way with muted colorways and delicate exteriors. 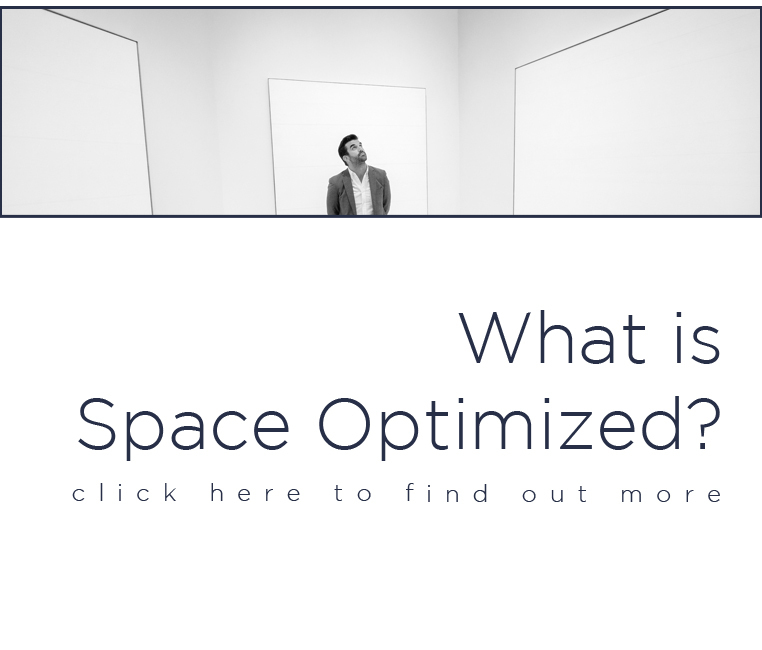 The setting is always relaxed yet moody, uncluttered and functional. 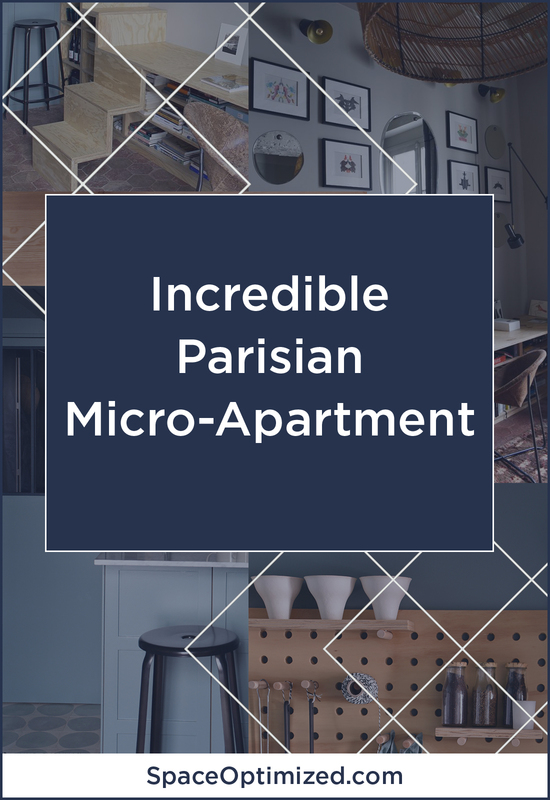 A microapartment in Le Marais is a fantastic example of Evennou’s penchant for contrasting design elements in a modest space. She mixed natural wooden accents with a modern palette and textured pieces. Every square inch of the microapartment has been maximized. 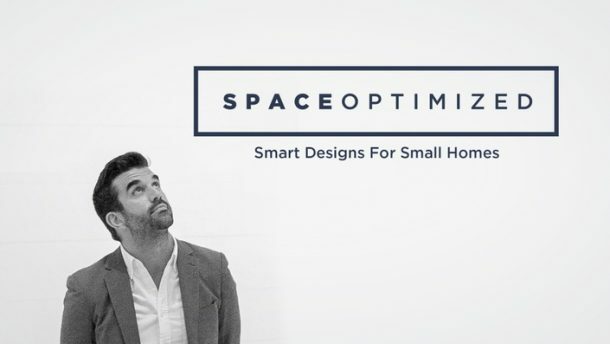 The idea is to enhance functionality without sacrificing striking aesthetics. 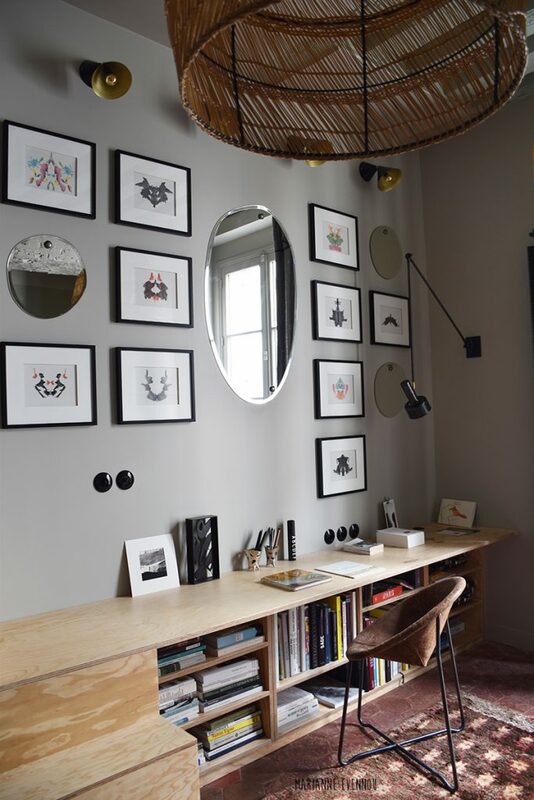 Evennou’s mastery over space saving styling is seen in every corner of the apartment. The layout of the functional design never feels overwhelmingly cluttered. The monotonous color scheme gives the impression of a larger space in the bedroom. This, despite the low ceiling. Underneath the bed is the tiny kitchen fitted with smart fixtures. 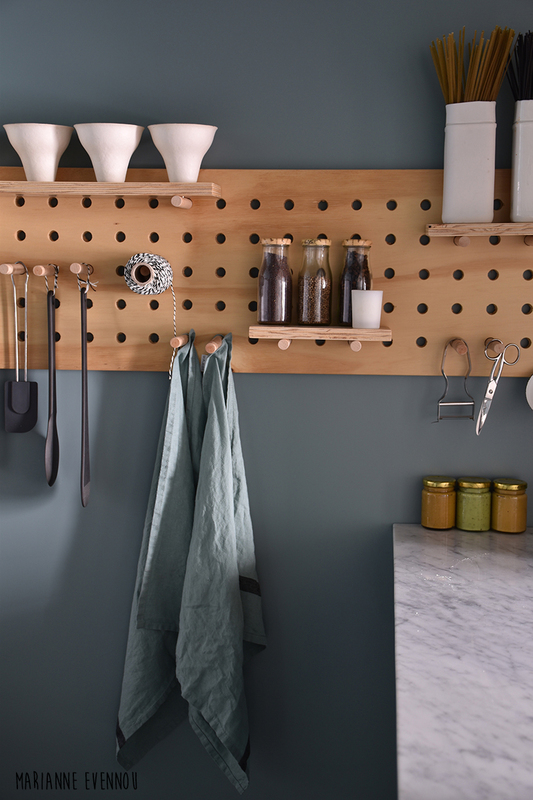 Sleek cabinets squeezed every square inch of free space. 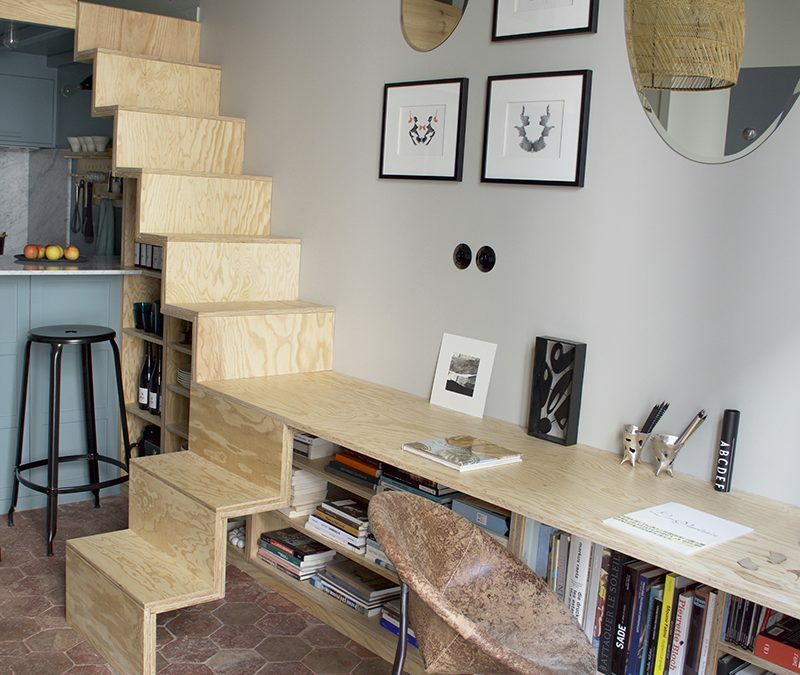 The stairs – which leads to the tiny living area – pull double duty as a wine holder and a console/desk. The walls are dressed with eye-catching decors. 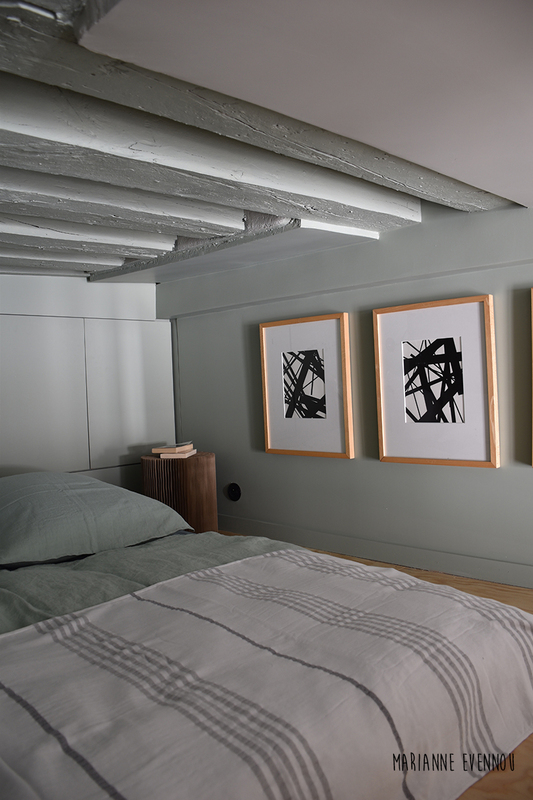 The artworks add warmth and character to an otherwise utilitarian space. 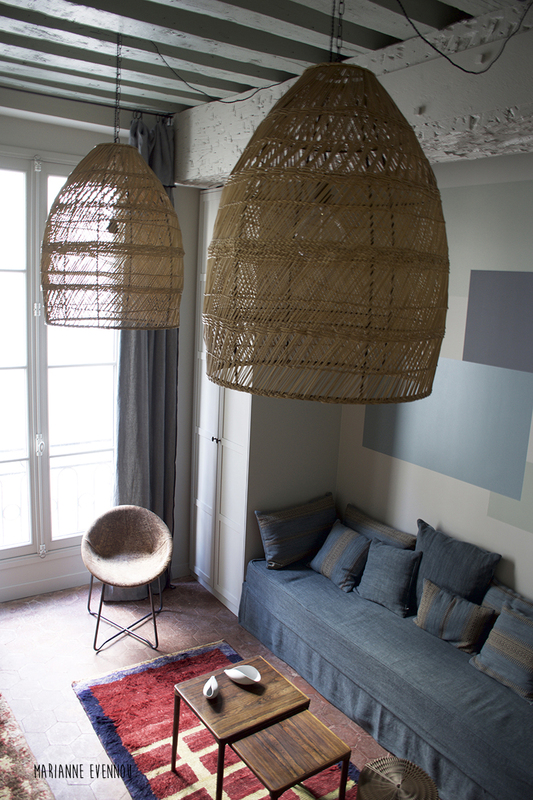 To add a bit of texture, Evennou used oversize basket weave pendants and wicker ottomans. Steel stools complement the sleek kitchen. 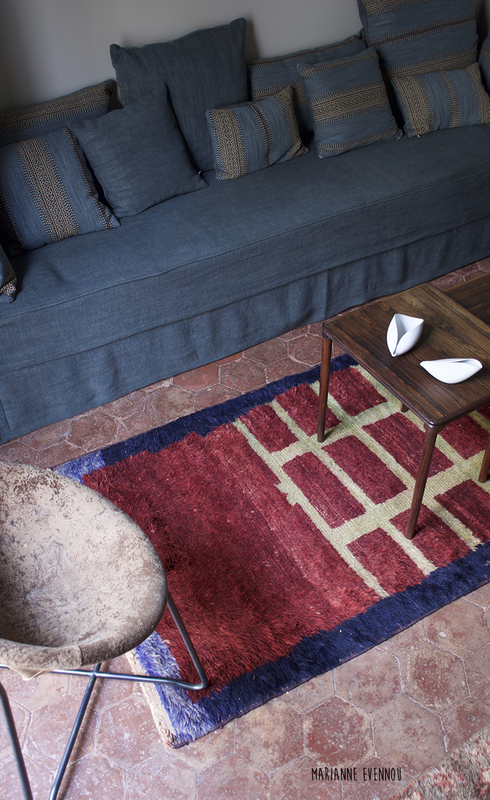 Colorful Moroccan rugs added a beautiful contrast against the moody grays and blues.